WIKA Mobile Control Mentor EI65 Console Upgrade Kit. 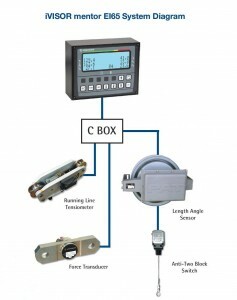 Crane Indicator Load, Angle, Length, Radius & Anti Two Block. 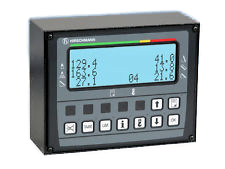 The WIKA Mobile Control (formerly Hirschmann MCS, PAT, Kruger) iVISOR Mentor EI65 indicator system displays all geometric and load data along with parts of line on the operator’s console. The compact user-friendly console incorporates a large backlit display that features BestView – Adaptive display control for optimal readability. With this information and the crane’s load chart, the operator has the information needed to work within the crane’s working limits. The WIKA Mobile Control iVISOR Mentor EI65 incorporates proven sensor technology. 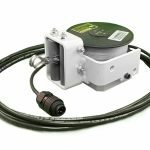 All sensors from the length/angle sensor to the load cells and anti-two block switch are all field proven and used on thousands of cranes worldwide. 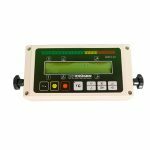 The WIKA Mobile Control Length-Angle-Radius-Load Indicator System Mentor EI65 has been designed to provide the crane operator with the essential information required to enable the machine to be used within its design parameters. The EI65 System indicates the length and angle of the boom, tip height, working radius and the total calculated weight being lifted by the crane. 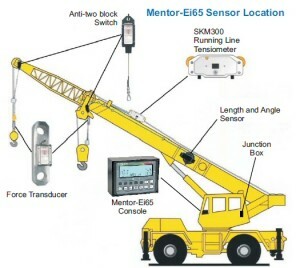 Using various sensing devices, the Mentor EI65 System warns the crane operator of certain approaching hazardous conditions, which could occur during the operation of the crane. The WIKA Mobile Control iVISOR Mentor EI65 System consists of an operating console with a central microprocessor unit, length/angle sensor, force transducers and anti-two block switches. 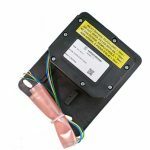 Boom length and boom angle is registered by the length/angle sensor mounted inside the cable reel, which is mounted on the boom. 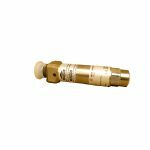 The boom length is measured by the cable reel cable, which also serves as an electrical conductor for the anti-two block switches. The crane load is measured by running line tensiometers attached to the upper side of the boom.